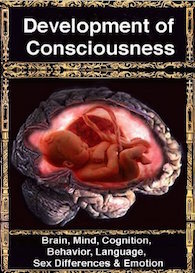 Globus Pallidus... (Reprinted and updated from Clinical Neuroscience, Academic Press, 2000, Rhawn Joseph, Ph.D. 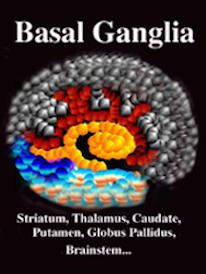 The basal ganglia, whose subdivisions include the brainstem, cerebellum, thalamus, and striatum, guide all aspects of gross muscular activity, such as kicking, hitting, running, walking, swimming, and even smiling. When injured, movement may become labored, stiff, clumsy, or even frozen as well as marked by uncontrollable tremors; as is the case with Parkinson's disease. 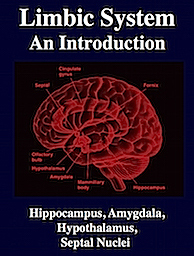 The "basal ganglia" (striatum, subthalamic nucleus) receives much of its input from the neocortex (Jones & Powell, 1970; Pandya & Vignolo, 1971), and the amygdala, and to a mimimal extent the hippocampus. The majority of these incoming fibers are excitatory and terminate in the corpus striatum and subthalamic nucleus. 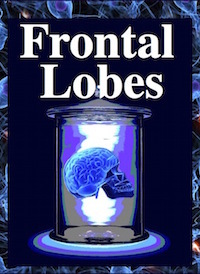 Specifically, the anterior portion of the frontal lobes projects to the head of the caudate whereas the more posterior putamen receives converging and overlapping input from the primary and secondary motor and somesthetic cortices (Jones & Powell, 1970; Pandya & Vignolo, 1971). 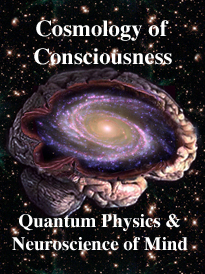 This structure does not receive any direct input from the peripheral sensory or motor systems. 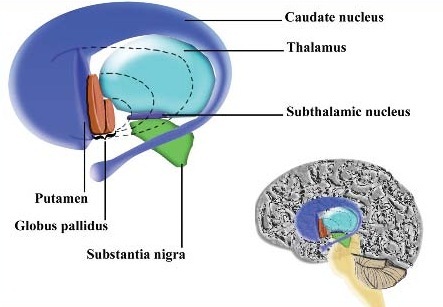 The main avenue of output is via the globus pallidus (and in the brainstem, the substantia nigra) which projects to the thalamus and the brainstem via the "extra-pyramidal system". 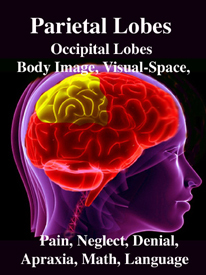 The basal ganglia does not project directly to the spinal cord. The majority of these outgoing axons arise from "spiny" neurons, and these are responsible for transmitting striatal impulses to the globus pallidus (GP). These are predominantly inhibitory and employ GABA (and various peptides, e.g. substance P) as neurotransmitters. The GP transmits to the brainstem and to the motor thalamus and subthalamic nucleus (Mink & Thach, 2001; Parent & Hazrati 2005). 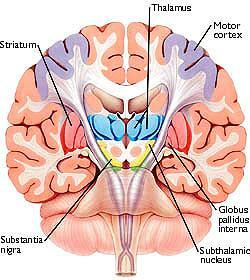 The motor thalamus in turn projects to the frontal motor areas i.e. 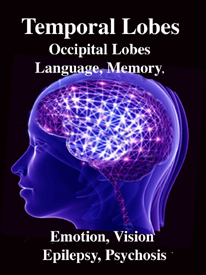 the primary, secondary, supplementary motor areas and frontal eye fields, including the anterior frontal lobe. 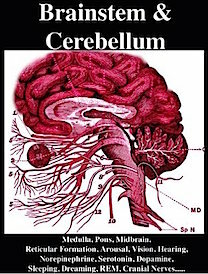 The subthalamic nucleus, is directly linked with the hypothalamus and midbrain, and receives excitatory input from all frontal motor areas; Unlike the globus pallidus, output from the subthalamic nucleus is excitatory, and it in fact projects back to the globus pallidus. The GP, therefore, receives diffuse excitatory input from the subthalamic nucleus, and converging inhibitory input from the striatum, and the transmits the bulk of its inhibitory impulses to the motor thalamus which acts on the frontal neocortical motor areas. Thus a complex feedback loop involving inhibitory and excitatory circuits is maintained in this area--feedback which presumably assists in the guidance of movements directly controlled by the frontal motor areas, as well as those initiated internally vs externally (Schultz & Romo, 1992). 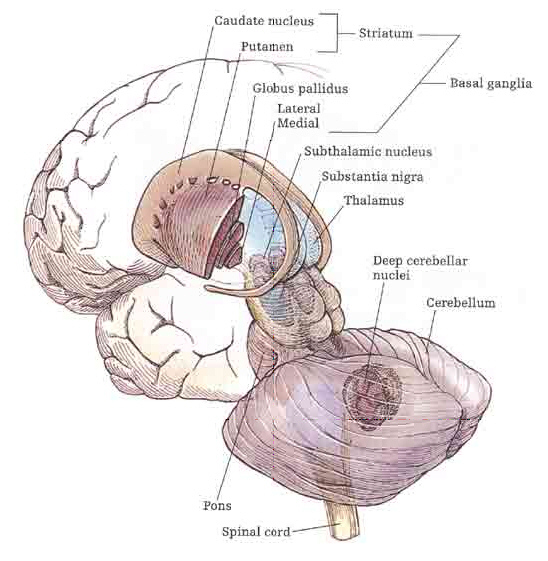 The corpus striatum, GP, and subthalamic nucleus, however, represent only the dorsal aspect of the "basal ganglia." 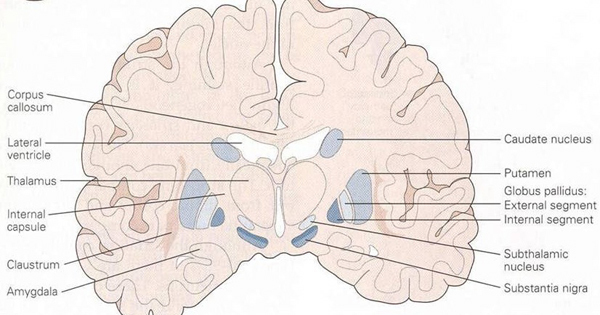 Ventral to and intimately associated with the dorsal striatum is the limbic striatum, portions of which have also been referred to as the "extended amygdala." Indeed, the amygdala is a major component of the "basal ganglia," and these structures function as a cohesive interacting unit for the purposes of defensive and other affective behaviors regarding gross body movements, such as kicking, flailing, running, and kicking. As noted, some studies have indicated that those with Parkinson's disease demonstrate the greatest amounts of DA depletion and related DA neuronal degeneration within the putamen. Hence, many authors have argued that Parkinson's symptoms are a consequence of damage to this nuclei (e.g. 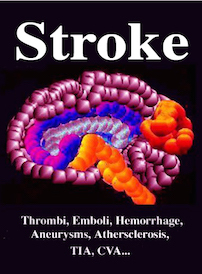 Goto et al.2010), which in turn can result in the production of unwanted movements such as tremor. Presumably, in these instances, the medial (internal) globus pallidus (which receives putamen input) ceases to inhibit irrelevant motor activity. 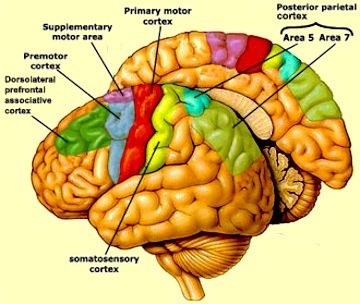 The putamen receives much of it's input from the caudate and in particular the SMA, the secondary and primary motor cortex, as well as areas 5 and 7 of the parietal lobe (Jones & Powell, 1970; Pandya & Vignolo, 1971). Presumably the putamen, in conjunction with the caudate, transmits this information to the medial and lateral GP which in turn projects to the motor thalamus, and brainstem. 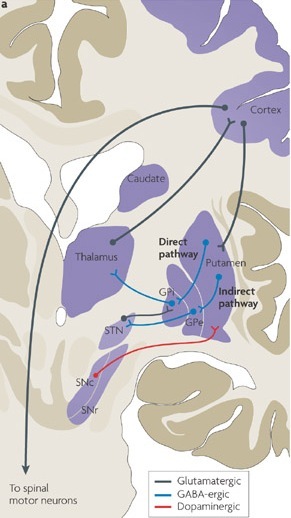 However, like the caudate, the putamen and GP also project back to the motor neocortex, thus creating a very elaborate feedback loop (see Mink & Thach, 2001; Parent & Hazrati 2005) whose origin may begin in the SMA (Alexander & Crutcher, 2010; Crutcher & Alexander, 2010) or perhaps the limbic system (chapter 13). 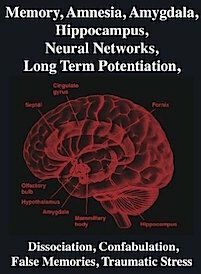 For example, when anticipating or preparing to make a movement, but prior to the actual movement, neuronal activity will first begin and then dramatically increase in the SMA, followed by activity in the secondary and then the primary motor area (see chapter 19), and then the caudate and last of all the putamen-GP (Alexander & Crutcher, 2010; see also Mink & Thach, 2001). 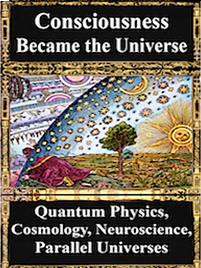 However, the caudate nucleus also contains neurons which become active prior to, and in anticipation of making body movements, and in response to associated auditory and visual environmental cues (Rolls, et al. 1983; Rolls & Williams, 2002). This caudate neuronal activity precedes, or occurs simultaneously with excitation in the lenticular nucleus, which also results (via feedback) in SMA activation. This is because the GP and the putamen not only receive caudate and neocortical afferents, but they project back to the frontal motor areas (as well as to the motor thalamus). Hence, parallel processing also occurs. That is, activity in these regions quickly begins to overlap such that neurons in the motor neocortex and basal ganglia often remain activated simultaneously (Alexander & Crutcher, 2010). Moreover, the motor areas all independently send axons to the brainstem, with axons from different areas converging on the same motor neuron. Therefore, activity in the motor areas is characterized by both temporal-sequential and parallel processing that in turn is made possible via feedback neural circuitry. Because these different networks are intimately linked and mutually interactive they make coordinated and goal directed movements possible. Indeed, multiple feedback loops are probably also necessitated by the numerous variables and body- spatial- visual- kinesthetic- motor references, etc., that need to be computed in order to make a planned movement. Thus both temporal-sequential and parallel processing is necessitated as each area is functionally specialized to analyze specific types of information and to perform certain actions in semi-isolation as well performing other functions in parallel with yet other motor areas. Just as different regions of the caudate appear to subserve different functions, a variety of neuronal types also characterize the lenticular nucleus. For example, preparatory and movement related neurons are segregated within the putamen (Alexander & Crutcher, 2010). This suggests that the putamen employs two different neural networks, one which executes movements, the other which prepares to make the movement; information which is normally transmitted to the GP as well as back to the motor neocortex. The putamen appears to act at the behest of impulses arising in the neocortical motor areas (as well as the limbic system) and then only secondarily acts to prepare for and then to participate in the guidance of movement (Mink & Thach, 2001). 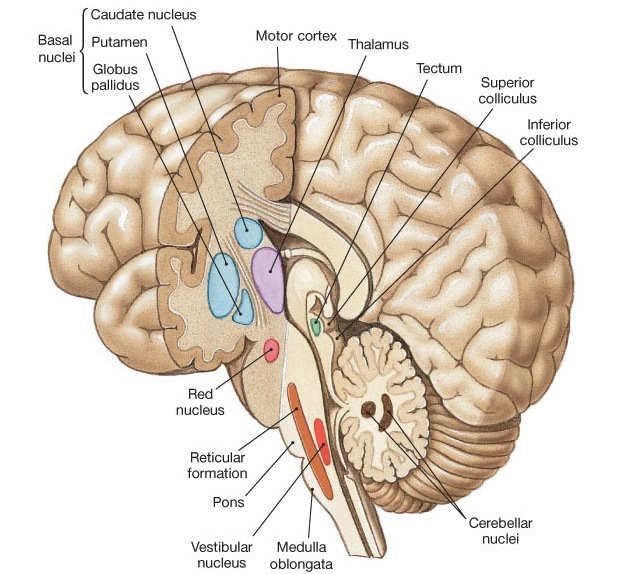 In conjunction with the caudate, the putamen accomplishes this via signals transmitted to the medial and lateral GP, the motor thalamus, and brainstem reticular formation (Marsden & Obeso, 1994) and then back to the motor neocortex (see also Parent & Hazrati 2005, for a related review). As noted, the putamen and globus pallidus are also coextensive (the lenticular nucleus) and in many respects function as a prepatory motor unit involved in the guidance, and perhaps even the learning of various motor activities (Crutcher & DeLong, 2004; Kimura, 2002). For example, alterations in neuronal activity have been demonstrated in the globus pallidus and the putamen during tasks involving learned body movement (Crutcher & DeLong, 2004). Lenticular neurons also become highly active when learned facial or limb movements are triggered in response to a particular auditory or visual stimulus associated with that movement (Kimura, 2002). Some putamen and GP neurons also fire in response to reward but not to movement and vice versa (Kimura, et al. 2004). However, these same neurons do not respond when the same learned and rewarded movements are made spontaneously and in the absence of associated cues, or when they were no longer rewarded. These findings raise the possibility that specific neurons within these nuclei are responsive to motivational cues associated with movement and that these neurons utilizes these cues in preparation to make a movement (Kimura, 2002). Neurons in the GP also selectively respond and change their activity when making ballistic movements, particularly those which are visually guided (Mink & Thach, 2001). However, activation occurs too late for these neurons to be involved in the initiation or planning of the movement (Mink & Thach, 2001). Conversely, destruction or massive inhibition of the GP can result in difficulty turning off a movement (see Mink & Thach, 2001) -thus giving each movement a ballistic quality. Similarly, destruction or massive inhibition of the GP can make it exceedingly difficulty to rapidly alternate between movements and thus switch from an ongoing to a different motor program (Hore & Vilis, 1980). This loss of control over motor programming with GP impairment extends even to attempts to make purposeful ballistic reaching or stepping movements (Horak & Anderson, 2004; Hore & Vilis, 1980), and the velocity and amplitude of these movements may in fact be significantly slowed and reduced (Mink & Thach, 2001). The medial/internal and lateral/external GP appear to play different and counterbalancing roles in the execution, inhibition and excitation of different motor programs (Crossman, et al. 2002; Marsden & Obeso, 1994). For example, the medial/internal GP is believed to provide positive/excitatory feedback to the neocortical motor areas, whereas the lateral/external GP provides indirect "negative" and inhibitory feedback so that unwanted movements are prevented. Moreover, DA inhibits the medial GP, but excites the lateral GP (reviewed in Marsden & Obeso, 1994). 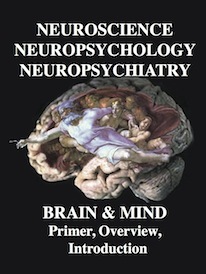 In consequence (at least in theory), reduced nigrostriatal DA levels can result in an overexcitation of the medial GP, which inhibits cortically mediated or initiated movements thereby producing akinesia (loss of movement), bradykinesia (reduction in movement) and hypokinesis (slowness of movement) coupled with tremor. On the other hand excessive lateral GP (and limbic striatal) activity can also result in gross involuntary and excessive hyperkinetic and ballistic movements usually involving the limbs on the contralateral side of the body, along with choeriform movements and tremors. However, surgical destruction of the fibers tracts leading to and from the lateral and medial GP can significantly diminish such disturbances, including hemiballismus, tremor, dystonia, chorea and athetosis (see Carpenter & Sutin, 1983). 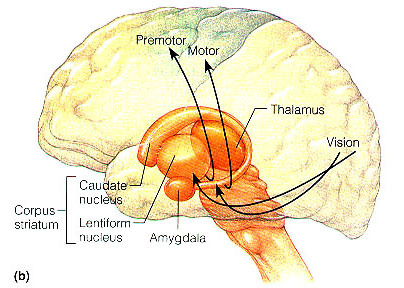 As noted above, lesions to the amygdala prior to the development of Parkinsonian and related symptoms, can also prevent the development of these motor abnormalities, which in part is due to the extensive interconnections maintained with these regions and the fact that the amygdala becomes coextensive with the ventral GP. In addition, because the putamen projects to the GP, lesions restricted or localized to the putamen can also result in abnormal competition between antagonist and agonist muscles, due to the release of the GP (and associated neural circuitry) from putamen control. Patients or primates so effected suffer from severe dystonia as well as rigidity and increased muscle tone sometimes accompanied by chorea (Segawa, et al. 2002). Similarly, among those with Parkinson's disease, activity within the putamen is significantly reduced (Playford et al. 1992), and reduced functional activity is also seen in the caudate which merges with the putamen. The GP receives about two thirds of its input from the putamen, and one third from the caudate (as well as some fibers from the SMA). Presumably, activation of the SMA -primary motor -caudate -putamen loop results in differential activation of the lateral and medial GP, the subthalamus, and the motor thalamus and the brainstem -nuclei which project back to the SMA and primary motor areas from which arises a massive rope of nerve fibers (the corticospinal/pyramidal tract) which directly innervates the brainstem and spinal cord. Presumably these complex feedback loops insure that coordinated and smooth continuous movements are planned, coordinated, and finally carried out. As noted, these interactions are also dependent on DA activity. For example, Parkinson's disease, being characterized by reduced DA, is associated with a reduction in striatal inhibitory activity and thus increased GP output to the motor thalamus and brainstem which would produce tonic EMG activity and akinesia and rigidity (Kockgether, et al. 1986; Starr & Summerhayes, 1983); i.e. hypomovement due to excessive tonic excitation. Conversely, excessive corpus stritatal DA would result in increased striatal GABA activity and thus inhibition of the GP which would lead to a disihibition of the motor thalamic and subthalamic nucleus and thus increased activation of brainstem and spinal motor neurons. Movements would become hyper, ballistic, and chorea may develop -as frequently occurs with prolonged neuroleptic treatment. Specifically, GABA activity within the GP and subthalamus are significantly effected by DA activity within the corpus striatum. 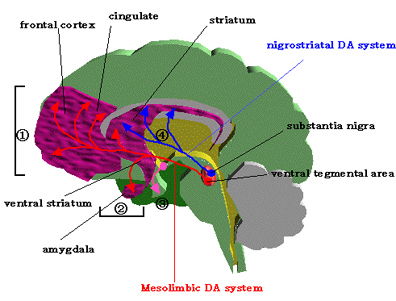 For example, deceases in striatal DA result in decreased striatal GABA neural activity (-which is normally inhibitory). 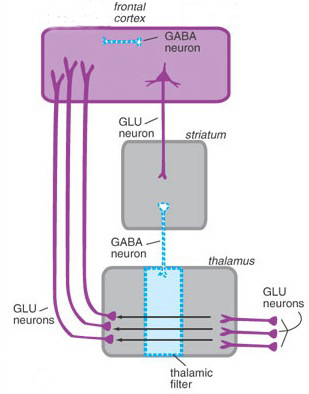 As these GABA neurons project to the GP, the loss of this GABA inhibitory input would increase tonic activity within the GP. which in turn would result in increased inhibitory GP influences on the motor thalamus and brainstem thereby decreasing their activity. Hence, the modulatory influences of these latter nuclei on motor functioning would be eliminated, resulting in heightened activity levels and thus overactivation of this aspect of the feedback circuit. 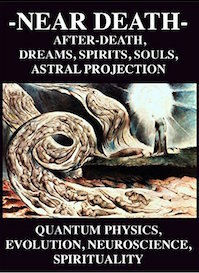 Brainstem and spinal motor neurons would become tonically activated thereby creating rigidity and stiffness of movement. 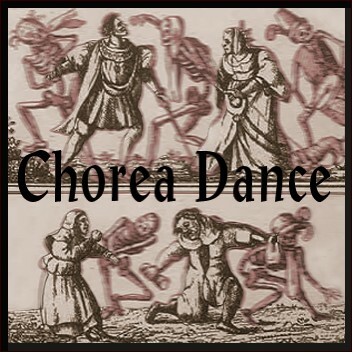 Conversely, the loss of GABA influences could induce choreic movements. In this regard it is noteworthy that significant GABA loss and abnormalities have been noted in the substantia nigra and basal ganglia of those with Huntington's chorea (Bird & Iversen, 1974), along with degeneration of the nigrostriatal DA projection pathway. Huntington's chorea is a progressive deteriorative inherited genetic disorder which is passed on by an autosomal dominant gene located on chromosome 4. It is characterized by an insidious onset that may begin during childhood or old age, with the illness beginning earlier in those who have an affected father (reviewed in Folstein et al. 2010; Young 2005). 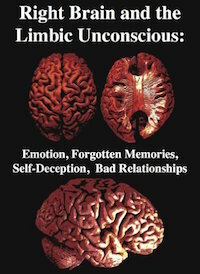 Cognitive decline, however, is gradual. Affected individuals tend to suffer from memory and visual-spatial deficits, depression, and reduced fluent output although aphasia is not typical. Difficulty with motor coordination, planning skills, decision making, and a reduced capacity to consider alternate problem solving strategies or to shift form one mental set to another, is not uncommon (reviewed in Folstein et al. 2010). Hence, in some respects this disorder is suggestive of frontal lobe abnormalities (see chapter 19). This syndrome is also associated with widespread neuronal loss in the caudate, putamen, brainstem, spinal cord, cerebellum, and atrophy in the GP (see Vonsattel, et al. 2002; Young 2005). Degeneration is predominantly of small striatal neurons whereas larger neurons remain intact. Opiate neurons located in the striatum are also significantly effected (Reiner et al. 2004). It is believed that the degeneration of these corpus striatal neurons, as well as the loss of GABA influences, results in reduced striatal control over the GP (see Narabayashi, 2002), thereby producing excessive movement. It is noteworthy that some reports indicate that the posterior caudate and putamen are more severely effected than the anterior regions (Vonsattel, et al. 2002). Indeed, the posterior caudate and it's tail is usually the earliest and most severely effected part of the brain -which implicates the amygdala as a factor in the development of chorea. 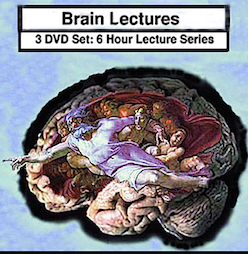 Indeed, in the early stages of Huntingtons chorea, atrophy and degeneration begin in the tail and spreads dorsally and anteriorally thus effecting the striatum and lenticular nucleus (Young 2005). In this regard it is noteworthy that affective disorders and personality and mood changes are prominent early signs suggesting amygdala involvement. Indeed, disturbances of emotion may precede any motor or cognitive decline by as much as 20 years, with some patients displaying mania, depression as well as antisocial tendencies (reviewed in Folstein et al. 2010). As noted, neural degeneration tends to begin in the amygdaloid tail of the corpus striatum (Young 2005). As per disturbances of movement, those with Huntington's disease tend to suffer from either or both voluntary and involuntary abnormalities. 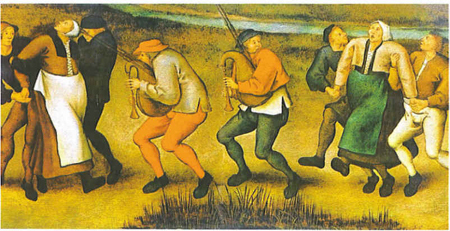 The involuntary aspects include the jerking and unpredictable movements of the limbs, trunk and face which may occur when at rest, walking, or while actively engaged in some task such that they may appear to be intoxicated and/or attempting to dance about. Voluntary disorders include rigidity, slowed, clumsy, or difficulty initiating movement. Those who suffer from voluntary movement disorders are the most likely to demonstrate cognitive decline (Folstein et al. 2010).